Limited Version CD-R: 3 tracks + 2 bonus tracks. This 3-track EP features an alternate mix of "Here Comes the Van," along with 2 previously unreleased tracks. The Limited Version CD-R includes 2 bonus live tracks, which are unavailable in any other format. 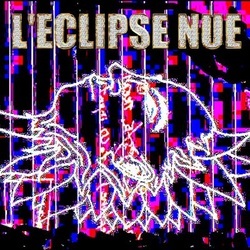 All sound sources are the original creations of L'eclipse Nue. All material mixed, mastered, remixed, etc. by L'eclipse Nue.